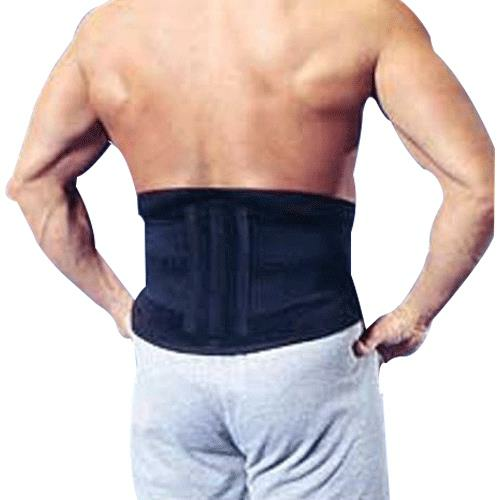 BIOoflex Magnetic Lumbar Support is made of neoprene and coolmax lining to allow a cooler fit. The support contains nine BMMI concentric circle magnets. Ideal for back pain and provides extra support. - Small/Medium: 33.5" x 9.5", fits waist size 24" to 30"
- Large/X-Large: 43" x 10", fits waist size 31" to 40"
- XXXL fits waist sizes up to 50-1/2"
Do you carry 2X in BIO50010? XXXL fits waist sizes up to 50½''. How many inches is your XXXLarge BIO50010? Thank you for reaching out to us. XXXL fits waist sizes up to 50-1/2".